Dreaming of a trip to a far away land where English is a second language and the smell of spicy food fills the air? Yeah, me too! Our last trip away was in December 2016 and with my growing belly and very active toddler keeping me super busy, my 2017 is definitely lacking a holiday. I’ve been Googling holiday destinations (let’s call it planning in faith) and I’ve decided that the colourful and interesting Sri Lanka is where it’s at! It was voted as the number one tourism destination in 2013/2014 by Lonely Planet and in terms of value for money, you get more experience for your buck! My kind of holiday. You guys, if you’re looking for bright coastlines, historical sites, boat trips, shopping, colourful night-life and multi-cultural cuisine, then Sri Lanka is where it’s at. I spotted some interesting packages on Olanka Travels that includes elephant rides (yes please! ), adrenaline pumping water games and exploring the coastal city of Bentota. The four day trip will even include visiting the Temple of Tooth Relic (I’m suddenly feeling very Indiana Jones) and learning cultural dance. And we all know that I need to learn how to dance. Olanka Travels also has a five day package that features a trip to Nuwara Eliya, where you get to visit its breathtaking waterfalls. I love that the country has a tropical climate, which means excellent weather 365 days a year. 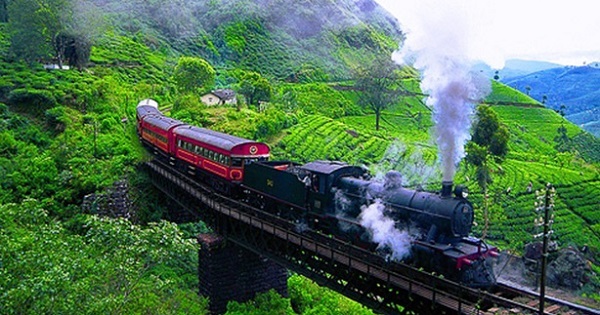 And guys, guess what, the tour includes a trip to the infamous tea plantation! Can you say dream holiday?! With landscapes and sightseeing opportunities that are sure to take your breath away, the “Jewel of the Indian Ocean” (as it is known) is the perfect holiday destination. 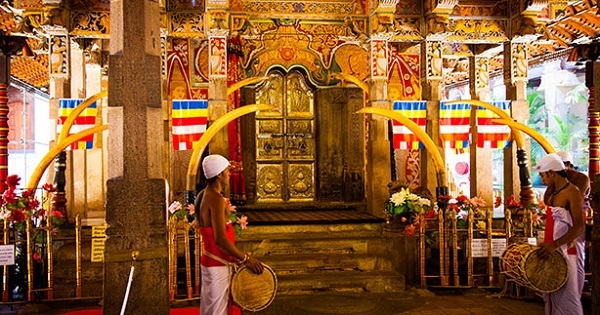 One of Sri Lankas main attractions, in my opinion, is its colourful heritage. 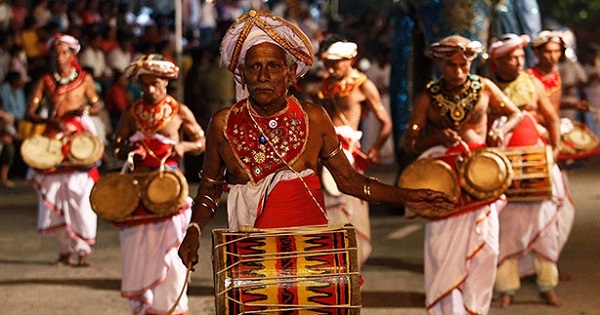 The country holds a proud history spanning 3000 years, and your tours can include extensive visits to historical monuments at various cites such as Anuradhapura, Sigiriya, Polonnaruwa, Mihintale, Dambulla, Kandy and Galle. Another huge draw card is the mouthwatering Sri Lankan traditional cuisines and I’ve been told that you’ve never had a spicy curry until you’ve had a genuine, traditional Sri Lankan spicy curry! I have my eye on Olanka Travels nine day package boasting an extensive visit to the country’s glorious beaches. 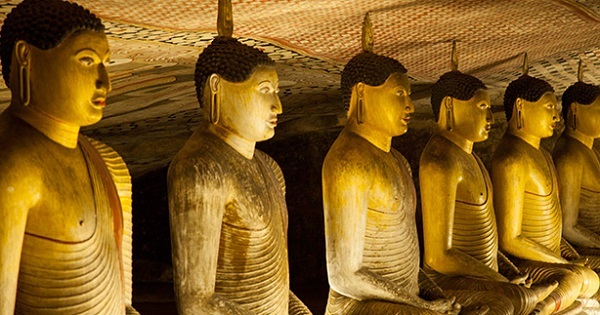 You are also able to explore the fine artworks of the Dambulla Cave Temple and visit the profound architecture of the Sigiriya Rock Fortress. If animals and nature is your thing you will enjoy sightseeing the wildlife at the Yala National Park. Or, if you’re more hipster than that, you can check out the vibrant Colombo (Sri Lanka’s commercial capital) and its street markets and shopping malls. Suddenly feeling as if you need to go on a holiday? Well, I’m here to give you glad tidings of great joy: Olanka Travels wants to make YOUR holiday dreams come true. Check out their website for more information. Disclaimer: This post was sponsored by Olanka Travels and all pics belong to them. But the written content and the intense desire to go on a holiday to Sri Lanka is entirely my own. I promise. Sri Lanka is definitely on my list as well. It’s a great option for South Africans and our nose-diving currency!